In today's hyper competitive world, consumers are blasted from all angles with advertisements and promotions, so it's imperative to be unique and stand out. 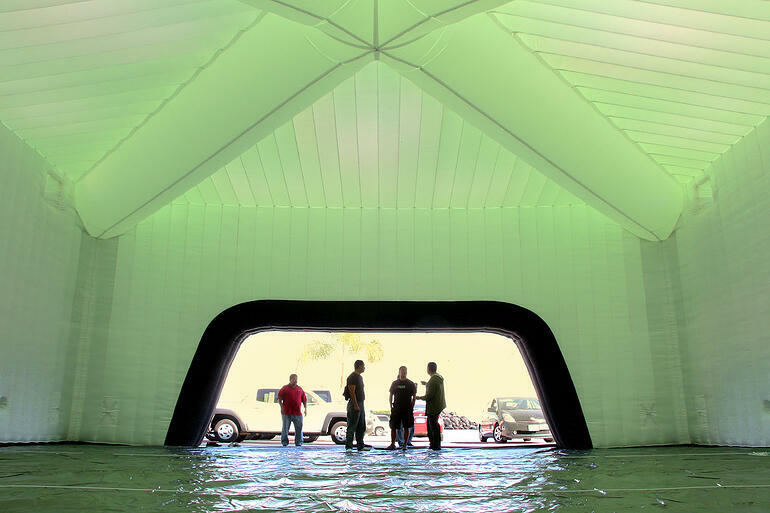 This magnificently crafted inflatable tent really sets a presence. 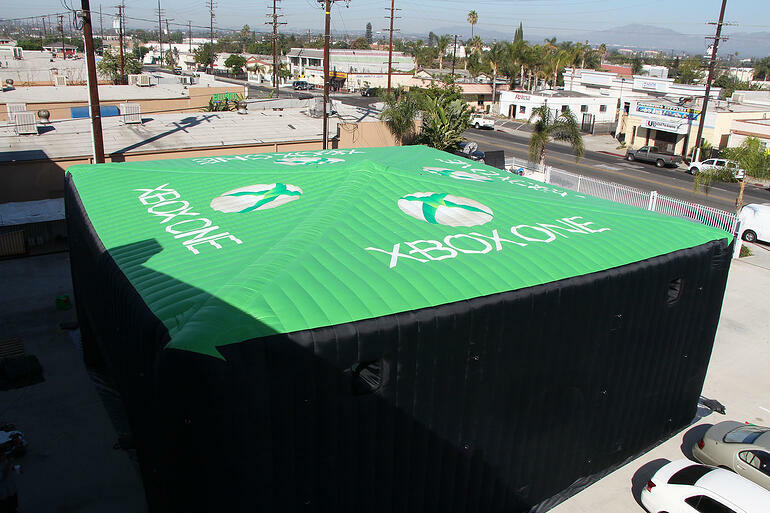 The sheer scale of this massive tent alone aids in getting attention. 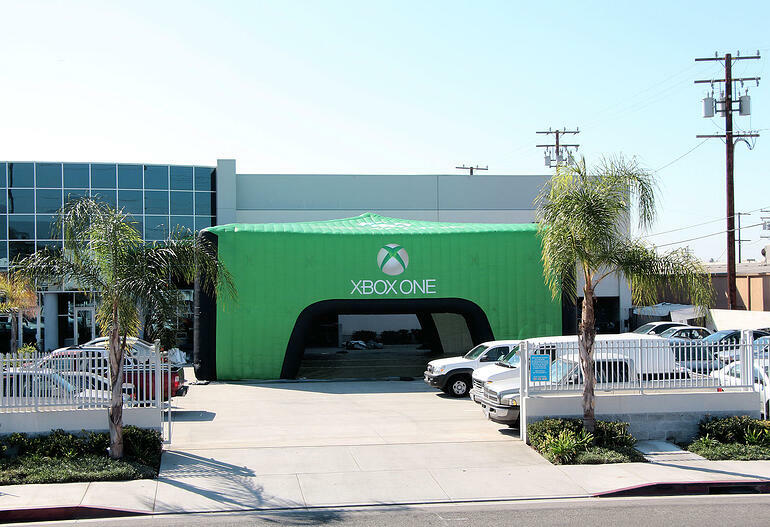 There's no question about it, a custom inflatable tent will increase your exposure. Inside this unique tent lies roughly 1,600 sq ft of open, uninterrupted floor space. The high ceilings further increase the overall size of the space. 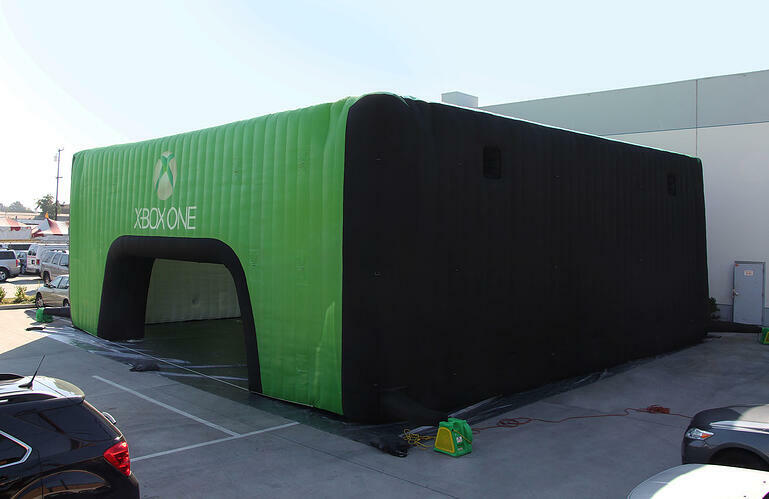 A tent like this is perfect for outdoor trade shows and conventions. Imagine the cool set ups you could create with this much space! The possibilities are endless. Many hours were spent designing this tent in order to make it as functional as possible. In one particular instance, a minimal pitch was created on the roof to redirect the rainfall and prevent water from collecting. Intake and exhaust vents were intentionally incorporated into the tent walls in order to accommodate air conditioners and exhaust fans.